where we are today. To be in the position to deliver the standard of care we take pride in. Our organisation is built and operates on a contributor mentality – it’s what ensures our success. Chenai Holistic Home Care represents hard, diligent and honest work of competent team. Offering you care that is personalized to you and tailored to your needs. We are invested in our carers so they can invest in you while delivering the service. Duty of care is deeply instilled in our high values.Our organisation is built and operates on the contributor mentality – it’s what ensures our success. Our services are designed and tailored to deliver comfort and peace of mind directly to you, while you are relaxed in your own home. Our aim is to understand and serve your needs. We are here to listen and make sure that you are heard. Putting you first and giving you added value is our practice. We work to build a trusting relationship between you and our team. 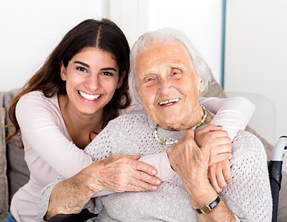 Let us demonstrate how simple and easy choosing the right homecare service can be. Making Care feel like Home.